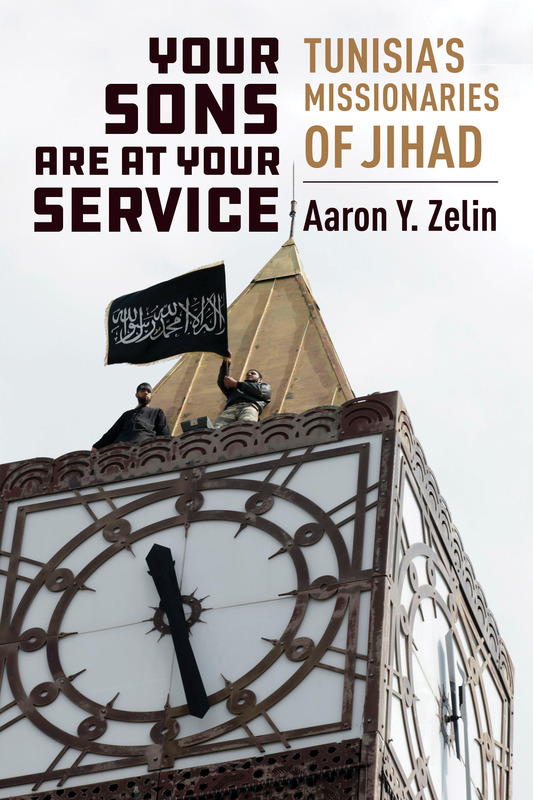 Aaron Y. Zelin, “Not Gonna Be Able To Do It: al-Qaeda in Tunisia’s Inability to Take Advantage of the Islamic State’s Setbacks,” Perspectives on Terrorism, Volume 13, Issue 1, February 2019. Aaron Y. Zelin, “Tunisian Foreign Fighters in Iraq and Syria,” Policy Notes 55, Washington Institute for Near East Policy, November 2018. Aaron Y. Zelin, “Tunisia’s Female Jihadists,” Policy Watch 3032, Washington Institute for Near East Policy, October 31, 2018. Aaron Y. Zelin, “Tunisian Jihadism Five Years After Ansar al-Sharia,” Middle East Institute, September 16, 2018. Aaron Y. Zelin, “The Islamic State Targets Tunisia Ahead of Elections,” Policy Watch 2965, Washington Institute for Near East Policy, April 30, 2018. Aaron Y. Zelin, “Fifteen Years After the Djerba Synagogue Bombing,” CTC Sentinel, Volume 10, Issue 4, April 2017. Aaron Y. Zelin, “The Role of Tunisians,” in ed. Katherine Bauer, Beyond Syria and Iraq: Examining Islamic State Provinces, Washington Institute for Near East Policy, Policy Focus 149, November 2016. Aaron Y. Zelin, “Tunisia’s Fragile Democratic Transition,” House Subcommittee on the Middle East and North Africa, July 14, 2015. Aaron Y. Zelin, “The Tunisian-Libyan Jihadi Connection,” ICSR Insight, July 6, 2015. Aaron Y. Zelin, “Between the Islamic State and al-Qaeda in Tunisia,” ICSR Insight, May 11, 2015. Aaron Y. Zelin, “Update on Shabab al-Tawhid and Creation of al-Midrar Media,” Jihadology, May 12, 2014. Aaron Y. Zelin, “Shabab al-Tawhid: The Rebranding of Ansar al-Sharia in Tunisia?,” Policy Watch 2250, Washington Institute for Near East Policy, May 9, 2014. Aaron Y. Zelin, “Meeting a Returned Tunisian Foreign Fighter from the Syrian Front,” Syria Deeply, November 8, 2013. Aaron Y. Zelin, “Tunisia: Uncovering Ansar al-Sharia,” Think Africa Press, October 25, 2013. Aaron Y. Zelin, “Who is Tunisia’s Salafi Cleric Shaykh al-Khatib al-Idrisi?,” al-Wasat, October 23, 2013. Aaron Y. Zelin, “Tunisia’s Fragile Transition,” The National Interest, October 17, 2013. Aaron Y. Zelin, “Tunis Designates Ansar al-Sharia in Tunisia,” al-Wasat, August 28, 2013. Aaron Y. Zelin and Andrew Lebovich, “Alleged Brahmi Killer: Tracing Ties Between Aboubaker el-Hakim, Ansar al-Sharia, and Al-Qaeda,” Tunisia Live, July 26, 2013. Aaron Y. Zelin, Daveed Gartenstein-Ross, and Andrew Lebovich, “Al-Qaida in the Islamic Maghreb’s Tunisia Strategy,” CTC Sentinel, Volume 6 Issue 7, July 2013. Aaron Y. Zelin, “Standoff Between the Tunisian Government and Ansar al-Sharia,” Policy Watch 2077, May 14, 2013, Washington Institute for Near East Policy. Aaron Y. Zelin, “Meeting Tunisia’s Ansar al-Sharia,” The Middle East Channel, March 8, 2013. Aaron Y. Zelin, “Tunisia’s Post-Revolution Blues,” Foreign Affairs, March 6, 2013. Aaron Y. Zelin, “The Night’s Watch: Ansar al-Shari’ah in Tunisia’s ‘Neighborhood Committees’,” al-Wasat, February 11, 2013. Aaron Y. Zelin, “Maqdisi’s disciples in Libya and Tunisia,” Foreign Policy’s Middle East Channel, November 14, 2012. Aaron Y. Zelin, “Tunisia’s Contentious Transition,” al-Wasat, August 23, 2012. Aaron Y. Zelin, “Who is Jabhat al-Islah?,” Sada Journal, July 18, 2012. Aaron Y. Zelin, “Missionary at Home, Jihadist Abroad: A Profile of Tunisia’s Abu Ayyad the Amir of Ansar al-Shari‘ah,” Jamestown Foundation’s Militant Leadership Monitor, Volume 3 Issue 4, April 2012. Aaron Y. Zelin and Erik Churchill, “A Balancing Act: Ennahda’s Struggle with Salafis,” Sada Journal, April 19, 2012. Aaron Y. Zelin, “Tarek Maaroufi: Tunisia’s Most Notorious Jihadist, Returns Home,” Tunisia Live, April 1, 2012. Aaron Y. Zelin, “Jihadi Soft Power in Tunisia: Ansar al-Shari’ah’s Convoy Provides Aid to the Town of Haydrah in West Central Tunisia [WITH PICTURES],” al-Wasat, February 21, 2012. Aaron Y. Zelin, “The Salafi Challenge to Tunisia’s Nascent Democracy,” The Washington Institute for Near Policy, Policy Watch #1879, December 8, 2011. Aaron Y. Zelin, “Ennahda’s Tight Rope Act On Religion,” Foreign Policy’s Middle East Channel, November 18, 2011. Aaron Y. Zelin, “The Arab Spring’s First Real Test of Democracy Arrives in Tunisia,” Foreign Affairs, October 21, 2011. Aaron Y. Zelin, “The Rise of Salafists in Tunisia After the Fall of Ben Ali,” CTC Sentinel, Volume 4 Issue 8, August 2011. Aaron Y. Zelin, “Jihadists: The Wallflowers of the Tunisian Uprising,” The Atlantic, January 20, 2011.